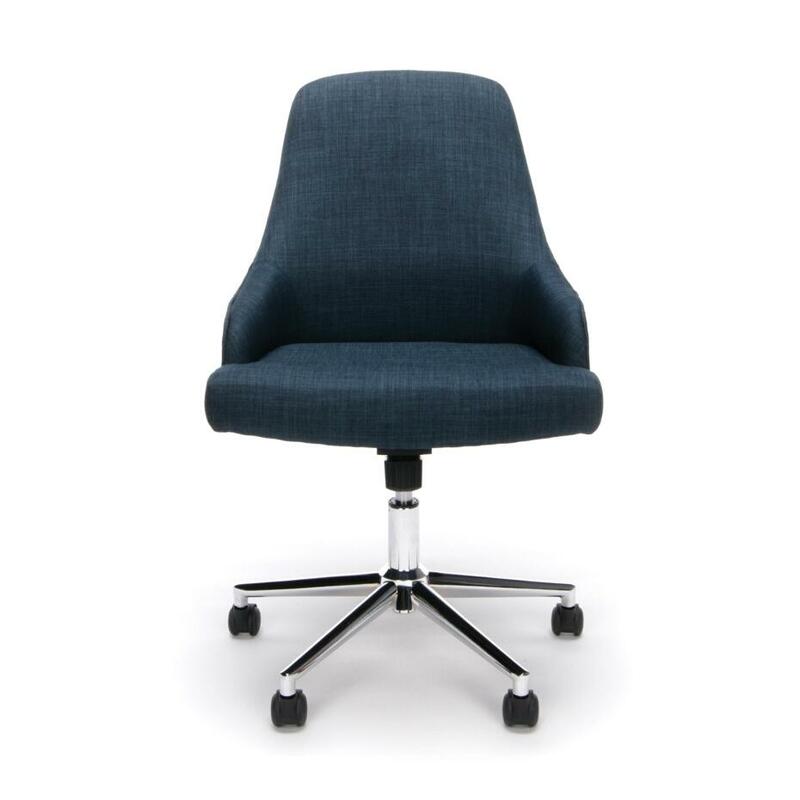 The ESS-2086 Upholstered Home Desk Chair features a mid-century yet modern design. The chair boasts a curved scooped-back frame and tapered arms. The textured woven fabric and chrome castor base are sure to complement your decor. It also offers simple and intuitive controls such as gas lift seat height adjustment, 360 degree swivel and tilt for added customizability and comfort. The comfort, stylish look, and price point of this chair make it a perfect addition to the office, whether at work or at home. Get one and see for yourself. Overall Height: 34.75" - 37.50"
Seat Height: 19" - 21.75"
I would like to receive pricing for the following item: OFM ESS-2086 Upholstered Chair.